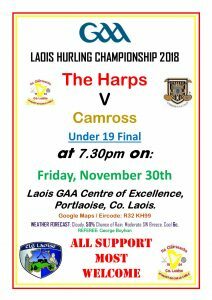 Final: November 30th: The Harps – v – Camross (To be played in Laois GAA Centre of Excellence) 7.30pm. 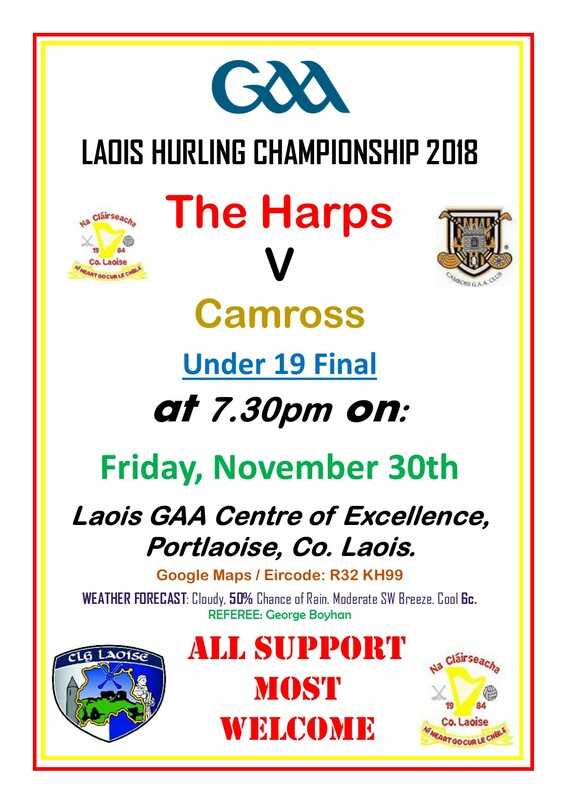 The Harps will face Camross, in a repeat of the first round, this Friday night in Portlaoise at 7.30pm. The venue is the Laois Centre of Excellence on Fr Browne Avenue, Portlaoise. 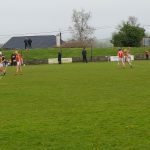 Camross overcame Castletown-Slieve Bloom in their semi-final with six points to spare. Best of luck to the lads! 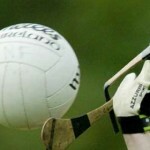 The Harps U21s will face the winners of Clough-Ballacolla and Rathdowney-Errill in the Semi-Final which is scheduled for Wednesday, December 12th with the time and venue yet to be decided. Again, best of luck is wished for to the lads. 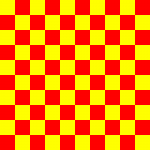 HARPS GAA: Bonus Ball Draw – some vacancies have arisen on the monthly draw – to join please contact Seamus Campion on (087) 2797214.